D190N, a missense mutation in rhodopsin, causes photoreceptor degeneration in patients with autosomal dominant retinitis pigmentosa (adRP). 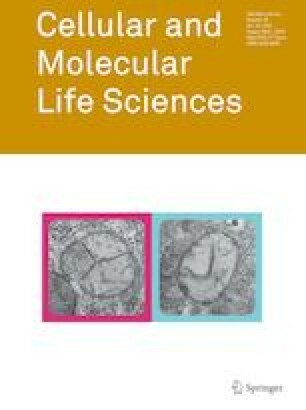 Two competing hypotheses have been developed to explain why D190N rod photoreceptors degenerate: (a) defective rhodopsin trafficking prevents proteins from correctly exiting the endoplasmic reticulum, leading to their accumulation, with deleterious effects or (b) elevated mutant rhodopsin expression and unabated signaling causes excitotoxicity. A knock-in D190N mouse model was engineered to delineate the mechanism of pathogenesis. Wild type (wt) and mutant rhodopsin appeared correctly localized in rod outer segments of D190N heterozygotes. Moreover, the rhodopsin glycosylation state in the mutants appeared similar to that in wt mice. Thus, it seems plausible that the injurious effect of the heterozygous mutation is not related to mistrafficking of the protein, but rather from constitutive rhodopsin activity and a greater propensity for chromophore isomerization even in the absence of light. Javier Sancho-Pelluz and Xuan Cui contributed equally to this paper. The online version of this article ( https://doi.org/10.1007/s00018-019-03090-9) contains supplementary material, which is available to authorized users. We greatly appreciate the assistance of the members of the Bernard & Shirlee Brown Glaucoma laboratory, especially to Chun-Wei Hsu for technical support. SHT is a Burroughs-Wellcome Program in Biomedical Sciences Fellow, and is also supported by the Charles E. Culpeper-Partnership for Cures 07-CS3, Crowley Research Fund, Schneeweiss Stem Cell Fund, New York State N09G-302, Foundation Fighting Blindness [TA-NMT-0116-0692-COLU] (Owings Mills, MD), TS080017 from US Department of Defense, NIH Grants [P30EY019007, R01EY018213, R01EY024698, R01EY026682, R21AG050437], Research to Prevent Blindness (New York, NY), and Joel Hoffmann Scholarship. CSL is the Homer McK. Rees Scholar. JSP is a BEST2016 awardee (BEST/2016/030, Conselleria de Educación, Investigación, Cultura y Deporte; Generalitat Valenciana) and his research is supported by a Prometeo Grant (PROMETEO/2016/094; Conselleria de Educación, Investigación, Cultura y Deporte; Generalitat Valenciana) and by internal funds from Universidad Católica de Valencia San Vicente Mártir (2018-128-001). VBM is supported by NIH Grants K08EY020530, R01EY016822, The Doris Duke Charitable Foundation Grant #2013103, and Research to Prevent Blindness (New York, NY); GV is supported by NIH Grants [F30EYE027986 and T32GM007337]. JSP and XC ran most of the experiments: the histology, immunostainings, electron microscopy, ERGs, and glycosilation; WL helped with glycosylation experiments; YT, WS, SK, and CH ran part of the ERG recordings and the western blotting; IW assisted and advised with the experiments; GV, AGB, and VBM created the modeling for D190N rhodopsin and prepared Fig. 1; CSL created the animal model; SHT planned and supervised the experiments; JSP, SJ, and KSP wrote the main document; all authors reviewed the manuscript.